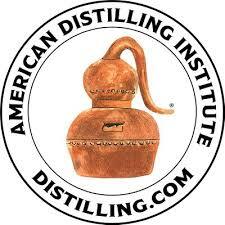 We are excited to be partnering with the American Distilling Institute and providing a WSET LVL 2 Spirits review and exam session as part of the American Distilling Institute (ADI) conference in Denver from March 18-21, 2019. Celebrating 16 years, this conference is the place to see and learn all things spirits. Teaming up with WSET USA's Global Development Team, we are hosting an exam and review session for an online WSET Level 2 Spirits course. This course will start on January 18th and culminate with a review and tasting session on March 18th at the ADI conference. Don't miss this opportunity to get this world class certification at a special conference price. Just enter the coupon code ADI-Denver for a 10% discount at checkout. The WSET LEVEL 2 Spirits qualification underpins the skills needed in all areas of the spirit trade including customer service, hospitality, retail, production and wholesale. The course is also appropriate for students who are not employed in the drinks industry and wish to broaden their knowledge of spirits in a structured way.